Old map by Stöwer -World War I maritime (submarine warfare), No title. 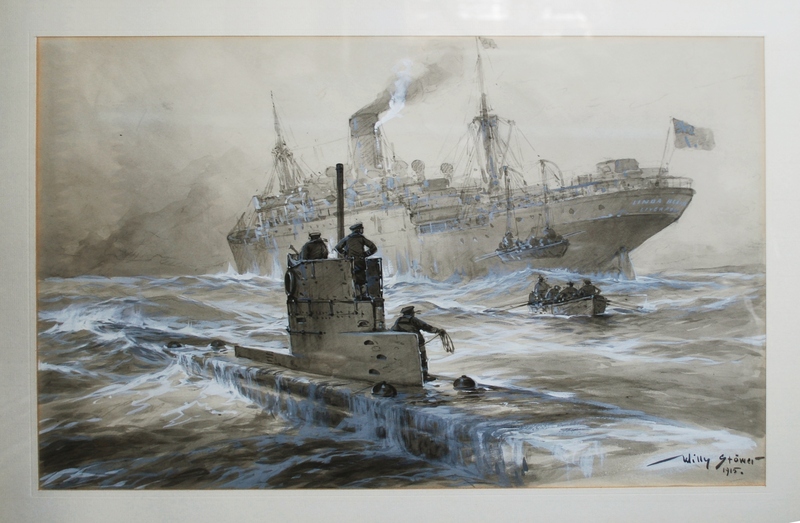 Title: World War I maritime (submarine warfare), No title. Size: 9.8 x 12.8 inches. A dramatic scene with in the foreground a German submarine, in the background the English freighter Linda Black.. (rest of name not visible) from Liverpool is sinking after having been hit by a torpedo. The freighter's crew is lowering a boat and another is rowing towards the submarine. Probably made for reproduction purpose, possible for the in 1916 appearing 'Büchlein Deutsche U-Boot Taten' , with lithographs with the same measurements. 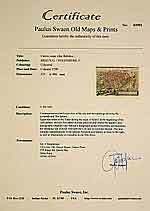 Signed and dated by the German artist Willy Stöwer, Wolgast 1864-1931 Berlin. Reference: Boye Meyer -Friese. Marinemalerei in Deuschland im 19. Jahrhundert, III: Die Maler Um/Unter Wilhelm II. Die Politische Marinemaler, p. 146..